Four interchangeable input capsules—X/Y, MS, Shotgun, and Dual XLR/TRS Combo—make the H6 the ultimate chameleon of the audio world, and its advanced preamps make it the best-sounding one too. Whatever your application—live recording, professional film/video work, or broadcast ENG (electronic news gathering), etc.—the H6 can handle it with ease. 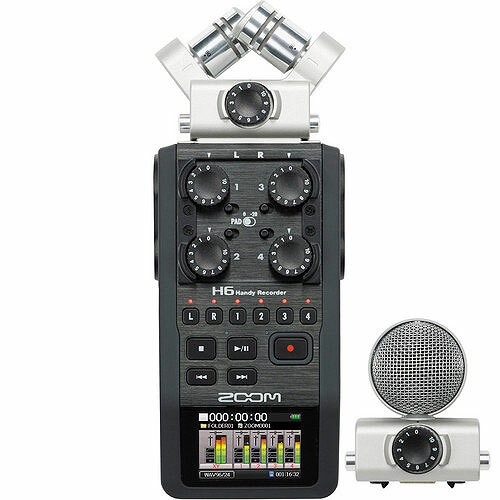 Zoom H6 Handy Recorder is available for rent or hire from RENTaCAM Sydney.